The Sarajevo-born, New York City-based pianist has won praise and prizes for his solo recitals, orchestral and chamber performances, and collaborations with such leading dance troupes as Mikhail Baryshnikov’s White Oak Dance Project and the Trisha Brown Dance Company. 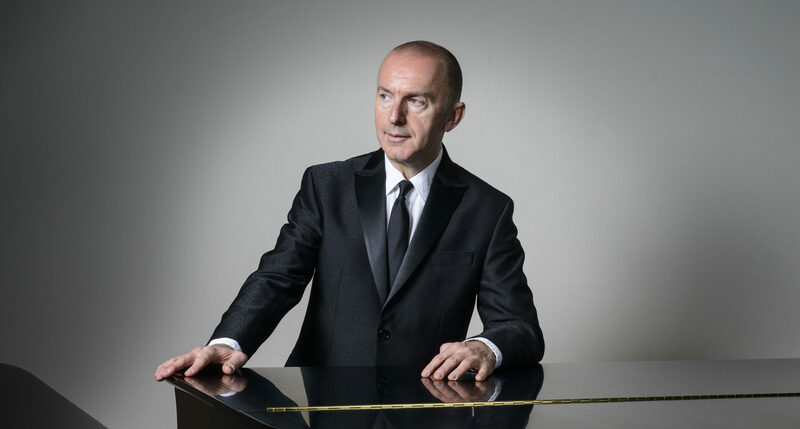 Join Pedja Muzijevic, one of the world’s most versatile pianists, as he performs an enchanting program on piano. This program will include three sonatas by Domenico Scarlatti, Robert Schumann’s Carnaval, Op. 9, selections from George Antheil’s La femme 100 Tête , James Joslin’s Cadaquésan Landscape for piano mechanical music box and two metronomes, and more!